A bit late, but it doubles the happiness. Just found out that my work was awarded twice at the 4th Fine Art Photography Awards. 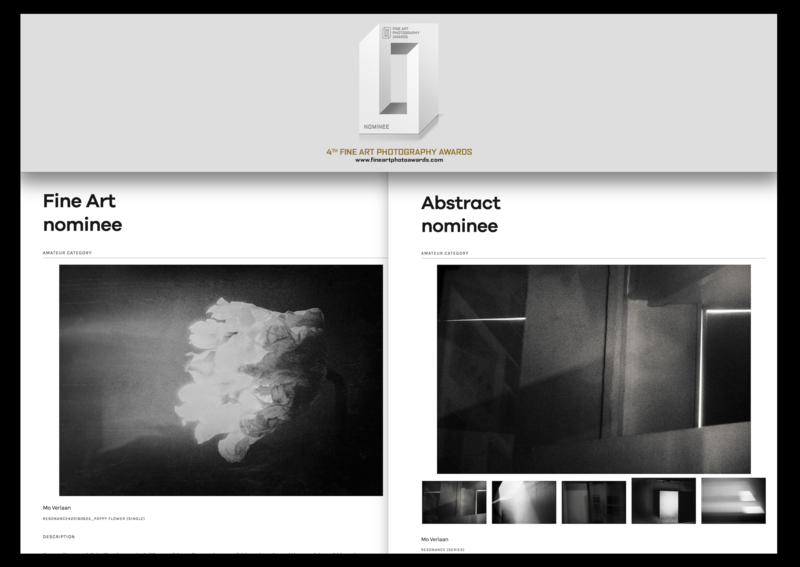 Nominee in the category Fine Art for Resonance#20160625 and Nominee in the category Abstract for the Series Resonance.